We really really love Keira Knightley. (Is that totally uncool? We don’t care.) And it seems like she loves us too – or at least the things we stand for. Throughout her long and illustrious career, she’s shown a fervent dedication to all things literary, playing some of our favorite fictional characters – and one wronged author! And today we’re looking back on that career. (And forward to the roles ahead.) Happy birthday, Kiera Knightly. We hope your day is filled with hours and hours of reading. Because you deserve it. 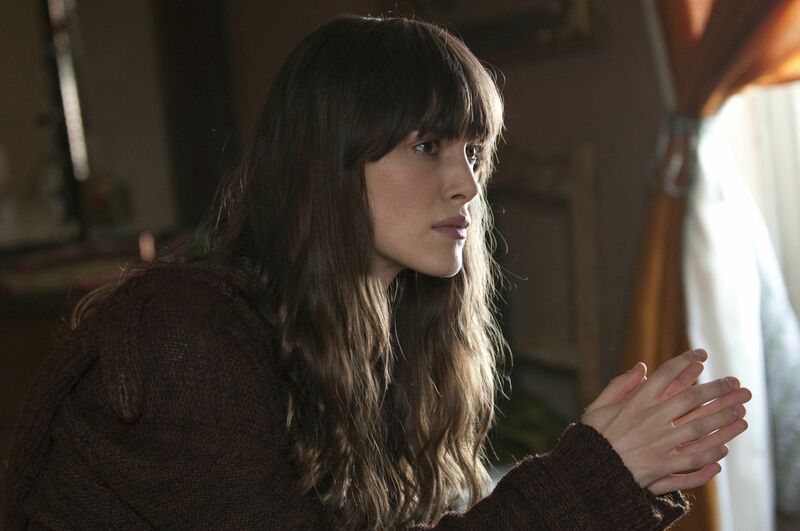 Colette, based on the life of French author Sidonie-Gabrielle Colette, marks Kiera Knightly’s first role as an author – and an incredibly wronged one at that. When Colette married author and publisher Henry Gauthier-Villars in 1893, she was twenty years old and ready to start her new life as a married person. So ready, and so blinded by the societal expectations of the time, that she ended up rescuing her husband’s writing career with four of her own novels – published under his name. When the Claudine stories took off, Colette contemplated taking control of the work. But as a young 19th century woman, this was legally impossible. And it’s that conflict that sits at the center of this film. Bravo, Colette! In The Imitation Game, based on the biography Alan Turing: The Enigma by Andrew Hodges, Kiera Knightly toes the line between the historical and the literary. In the film, she portrays Joan Clarke, an English cryptanalyst who worked on the Enigma project with Alan Turing – ultimately decrypting Nazi Germany’s top-secret communications during World War II. We’re thrilled that Clarke was such a prominent figure in the film adaptation, especially since prominent women are often demoted in the eventual biopic. And we’re equally thrilled that Kiera Knightly portrayed this role, assuring that Joan Clarke would get ample screen time. 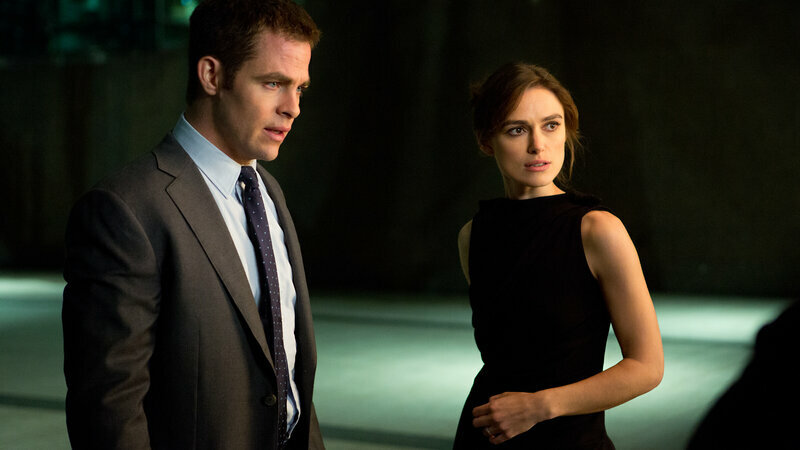 Before Amazon Prime’s Jack Ryan series was even a twinkle in Jeff Bezos’ eye, Jack Ryan: Shadow Recruit was gracing theatres nationwide with an adaptation of the Tom Clancy novels of the same name. Don’t remember this movie? Don’t worry, neither do we. And one look at the trailer shows Kiera Knightly playing damsel in distress to Chris Pine’s Jack Ryan. (Chris Pine was in this too? How do we not remember it?) No matter how forgettable this movie was, it opened the door for a very muscle-y John Krasinsky. And for that, we’re grateful. 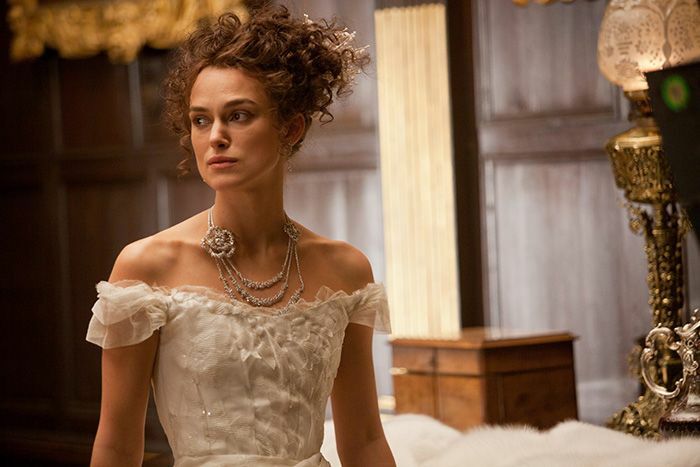 When Anna Karenina came out in 2012, everyone we knew was hit with the sudden urge to read Leo Tolstoy’s classic novel. And while this was never a truly well-loved adaptation – 63% on Rotten Tomatoes? Yikes – we fell in love with the lush costumes, the highly theatrical sets, and the stunning interpretation of the train. We also love that Kiera Knightly is smack dab at the center of this film, playing the titular character with everything she has. It’s a bold interpretation of the novel – a truly contemporary take on a period drama. And for that, we’re grateful. Never Let Me Go by Kazuo Ishiguro was published in 2005 and remains a literary favorite to this day. The film adaptation tells the story of three Hailsham students, Kathy, Ruth, and Tommy, whose lives have already been predetermined for them. This sci-fi examination of the worth of a human life is captivating and frightening all at the same time. As these young people learn their true purpose – that they’ve been raised to donate organs in order to prolong the lives of others – they’re faced with an incredible question: How can you overturn your fate? Kiera Knightly stars as Ruth, with Andrew Garfield and Carey Mulligan rounding out this all-star cast – and they’re all incredible. 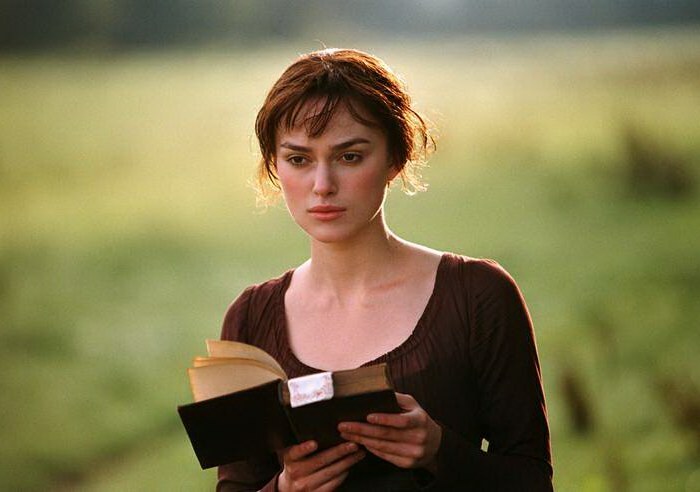 Our favorite Kiera Knightly role of all is her star turn as Lizzie Bennet in the 2005 adaptation of Pride and Prejudice. Yes, we know she was a movie star before P&P. (How many Pirates of the Caribbean movies did they make again?) And yes, we know that it’s the most uncool thing in the world to prefer the 2005 Pride and Prejudice over the 1995 BBC miniseries. But we truly can’t help it. We’re obsessed. First of all, we can watch Kiera Knightly walk across the moors for hours. Second, there’s Matthew Macfadyen’s deeply perfect and perfectly flawed Mr. Darcy. And don’t even get us started on the rest of the Bennet sisters. Rosamund Pike! Carey Mulligan! Jena Malone! Talulah Riley! Where’s our cast reunion?